Click on any of the thumbs above to display it in full size. 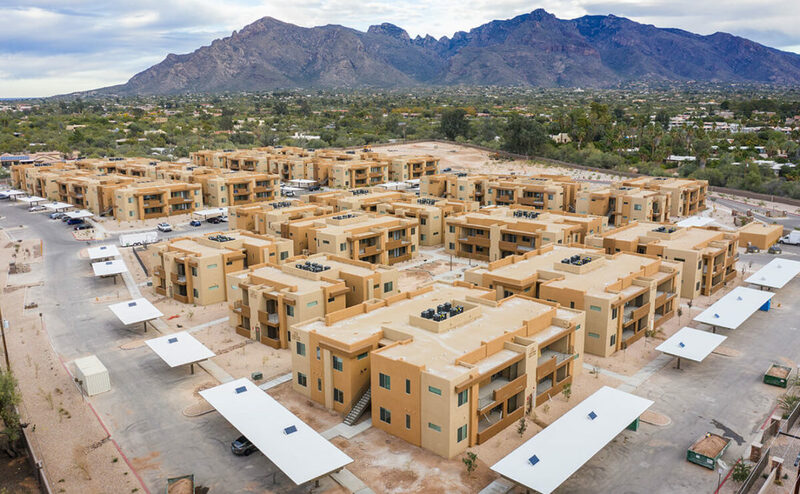 Watch our aerial video at the bottom of this page. This was a large commercial production-based project, which is what Tucson Stucco both loves and excels at. 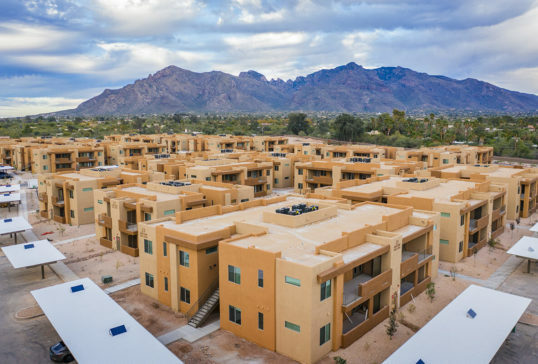 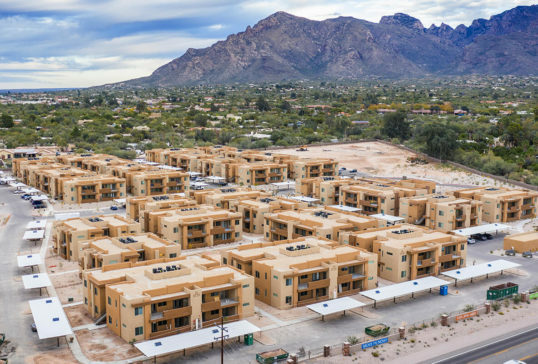 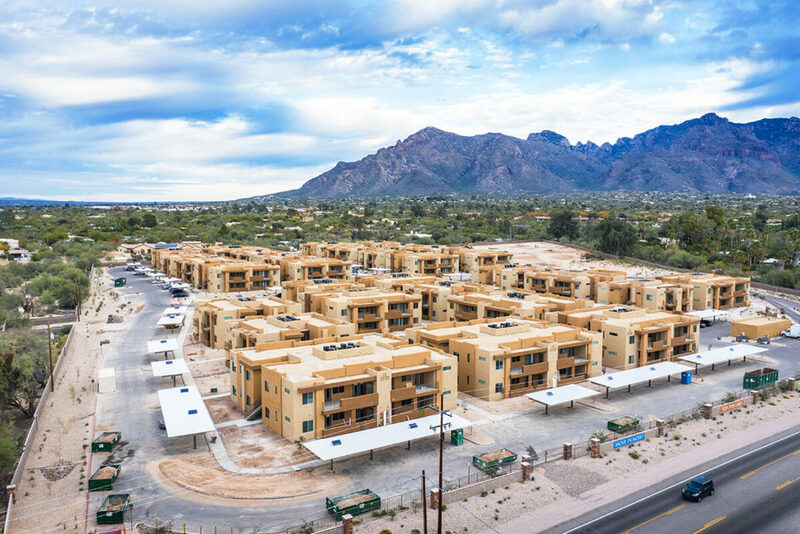 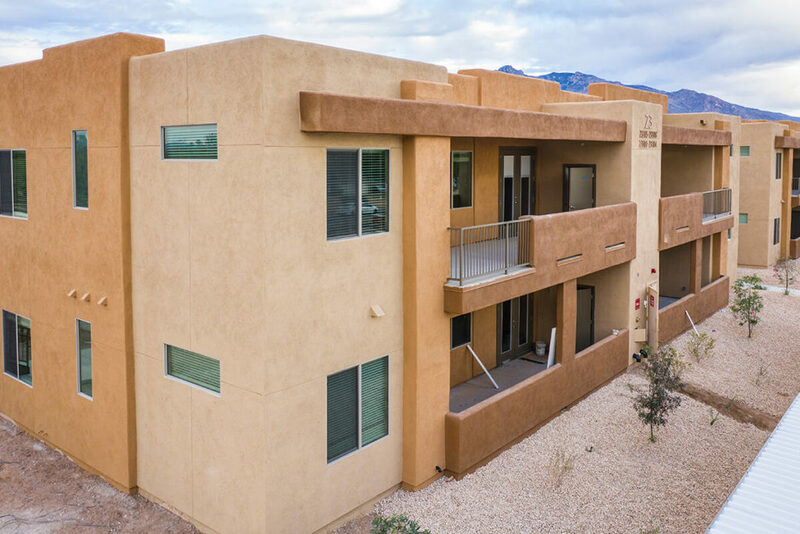 It was a pleasure to work with Preferred Apartment Builders a division of BFL Builders on these beautifully designed luxury apartments nestled in northwest Tucson. Additionally, working with a great project team was both fun and rewarding!